The Scottish Terrier (or Scotty or Scottie) has origins in Scotland. He was also called the Aberdeen Terrier, Aberdeen being a large city in Scotland. Aberdeen has been a settlement for over 8,000 years, but little is known about the Scottish Terrier dog breed before 150 years ago. Many Scottish terrier dog breeds were mixed up and had no standards. 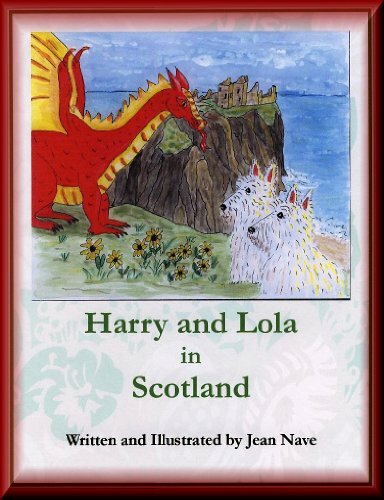 Scottie dogs were confused with Skyes, Dandie Dinmonts, Yorkies, and vice versa. The first standardization for the Scottish Terrier dog breed came around 1880. The Scottish Terrier dog breed did not have much popularity in the US until after World War II. He became better known in the US after Franklin Roosevelt’s Scotty dog, Fala, and after his portrayal in the Disney movie, Lady & the Tramp. After that, his popularity soared. 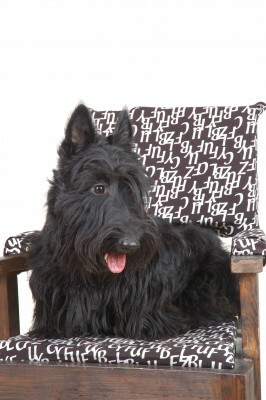 Scottie dogs are loyal family dogs, good with children and generally good with other pets. The Scottish Terrier dog breed can be playful and affectionate, but he can also be somewhat aloof. Like many terrier dog breeds, he has an independent nature which can make him difficult to train. While he may not be much of a guard dog due to his general amiability towards strangers, he can be fearless and feisty when the situation calls for it. In fact, the stout-heartedness of the Scottish Terrier dog breed has earned the nickname of diehard. The Scottish Terrier dog breed was bred for digging and hunting in underground passageways for small vermin, so he has a tenancy to dig. He can also be a bit of a barker. The Scottish Terrier dog breed has a hard wiry coat which is straight and medium in length. When most of us picture a Scottie dog, we picture a black dog. But the Scottish Terrier dog breed can also be wheaten or brindle in color. He stands about 10 inches high and can weigh between 18 and 22 pounds. The Scottish Terrier dog breed is a small dog, but he has a thick and strong neck, short but heavily-boned legs, and powerful hindquarters. He has small pointed and pricked ears, a long muzzle and skull, and small almond-shaped eyes. His most distinctive feature is his long eyebrows. The tail of the Scottish Terrier dog breed is about 7 inches long and carried outwards and with a slight curve. The Scottish Terrier dog breed is an energetic dog and needs a short to moderate walk daily and/or a long and hearty play session. Without proper exercise, the Scottish Terrier dog breed can develop destructive habits, such as more intense digging, excessive barking, and destructive chewing. Upkeep of a Scottish Terrier dog breed also includes brushing 2-3 times per week. He also needs his hair cut every three months or so. Like most purebred dog breeds, the Scottish Terrier is susceptible to a few genetic health issues. Two common skeletal disorders amongst the Scottish Terrier dog breed include patellar luxation and jaw problems. A neuromuscular issue very specific to the Scottish Terrier dog breed is called the Scotty Cramp. This painful disorder is associated with a serotonin deficiency. Other serious health problems of the Scottie dog include von Willebrand’s disease (vWD), a blood disorder, and cerebral abiotrophy, a brain disorder. The risk of getting a Scottish Terrier dog breed with these serious genetic disorders can be reduced by purchasing from a reputable breeder. Research breeders thoroughly, verify their licenses and breed club memberships, visit their home, and meet both the mother and father dog, if possible. A good breeder will probably also be a member of the Scottish Terrier Club of America and will probably have already tested for some of the disorders listed above. Once you find the perfect Scottish Terrier dog breed for you and your family, be prepared for a playful and energetic dog who is affectionate yet aloof and small but brave. Like President’s Roosevelt’s dog who won the hearts of Americans, your Scotty dog will win the heart of your family.